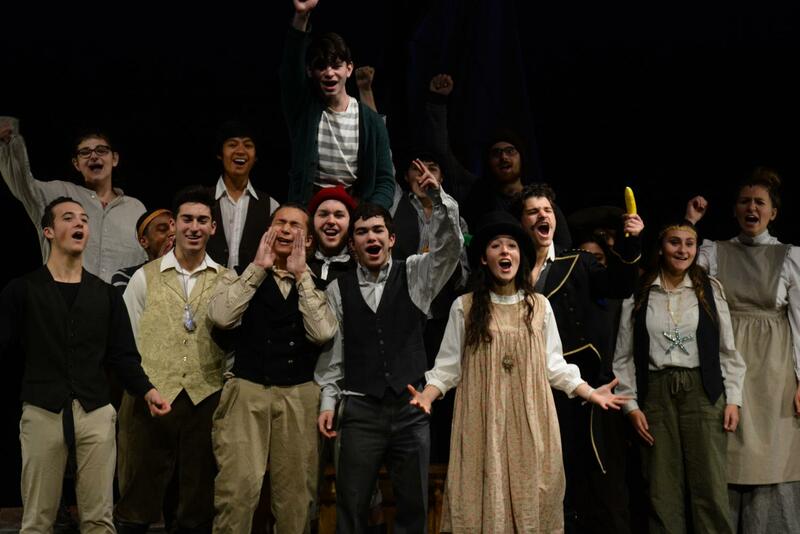 The fall musical, Peter and the Starcatcher, was presented during the weekend of Nov 16. The leads were played by BHS juniors: Ari Sokol as Peter while Jordyn Zawatsky and Joelle Rosenthal split the female lead of Molly. The story follows Molly, the daughter of a Naval captain, as she completes a secret mission for her father and gets tangled up in the fate of a group of orphans including Peter Pan. The story is a prequel to Peter Pan and includes the story of how Peter got his name. The show was directed by Rob Sapp and Patricia Haynish. “We wanted to select a show that involved as many students as possible,” Sapp wrote in an email. This inclusivity enabled more students to get involved, but it also made the characters hard to keep track of. The script is complicated and the plot was hard for me to follow, especially at the beginning. However, the actors executed it well and the story was pretty clear by the end. The excitement never lagged, and there were no lulls in the action. Whenever a character struggled with a line, someone stepped in and covered it right away. All of the acting was impressive, and the various accents were clear and pretty accurate. Actors showed a level of comfort on stage and with one another, bouncing lines off of one another easily. On the night I saw it, Joelle Rosenthal was playing Molly. She performed with a lot of energy and with a strong voice. Joelle delivered a natural performance, giving the character of Molly a personality, voice, and an important role in the show. She made Molly someone the audience could connect with and understand. 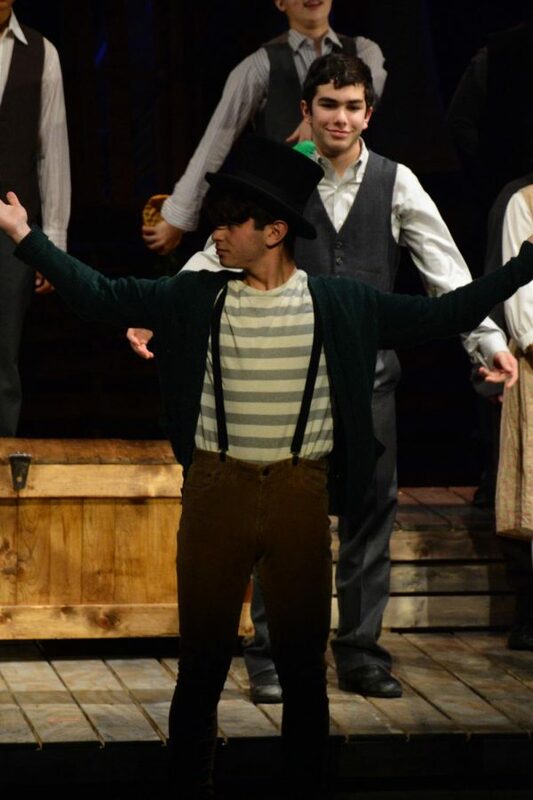 Ari Sokol also did a very good job playing the role of Peter. Different characters seemed to be forced together by strange situations in some scenes, but Ari used his confidence to create an atmosphere where the characters were able to play off of one another and come together as a cast. Zach Harf, who played Black Stache, added comic relief to the show. He delivered his lines with enthusiasm and confidence, and he put on an impressive performance. The show also included a funny song called ‘Starstuff,’ in which male characters dressed as mermen, showing the actors’ comfort onstage and providing comic relief from the action of the show. The set really enhanced the show as well, and it gave the actors more space and resources to work with. Stairs were a part of the set and a fog machine depicted the starstuff, adding a cool feeling to the entire scene. The pirate ship set was large enough that actors could move to different “rooms” and sneak around the ship, which made the set more believable and painted a clearer visual of the setting. The set also created a backdrop and context for the story. Curtains dropped from the ceiling for the song, and fake waves were created for the storm, which really brought the scenes to life. The show also featured stage fighting, which was delivered neatly with complicated choreography. I was impressed by the actors’ ability to stay in character while simultaneously executing the fight sequences. Overall, the show was exciting and high energy, and it showcased the actors very well – even if some parts were confusing. The Drama Club’s next performance will be Fiddler on the Roof, to be shown in the spring. Auditions will be held December 10th at the High School.